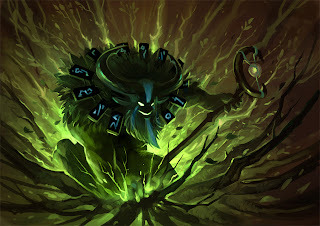 Furion is the best farmer in dota, he can farms gold so fast and become rich quickly. This hero will leading in items by another heroes in almost every match. This hero is a good pusher. He can push and destroy towers while the enemies are busy in another lanes. Because this hero's fast farming ability, this hero automatically become a carry because he can easily get good items. This is your ability to confine the enemy into the trees that will surround your target. The duration is considered long so you can attacks the enemy conveniently. The trees can also be used to summon your underlings (Your 3rd skill). This Sprout can also be use for your escape by confine yourself inside your own trees. Because you will be in fog of war inside your trees the enemy cannot attacks you there and you will be safe. You need to teleport immediately after that. A nice skill to control the map. You can teleport anywhere on the map. The cooldown is so low, just 20 secs in level 4. With this skill, you can farm and push anywhere you want. Just see the minimap, and if any lane that is far from heroes icon, go there, farm there, and push there. With this you can give some pressure to the enemy defense with just yourself and your underlings/trees. You are a great pusher with this skill and Nature's Call (Call trees) because you can destroy tower twice as fast. This skill also good if you're far away from teamfight and you need to participate immediately, so you can just teleport there and help the team. Call some trees to helps you in teamfight. A very good skill for jungling and pushing towers. With this skill, you can jungle since Lv. 1. But in level 1, you need to jungle in the easy camps. And if your level is higher, you can jungle in Big Camp or even in ancients camp. With this skill you can push twice as fast, because you will have the power of 1 wave of creeps. Then you can destroy towers and get many golds from it. Damaging all visible enemies all around the maps. Very good to earn some golds instantly because it will likely to automatically last hits some creeps on some lanes. Will also damaging the enemy heroes. Also good also for harassing the enemies in teamfight. Why Nature's Call first? For jungling, you need your creeps. You can't jungle without creeps. Creeps will tank the damages, and deal damages to neutrals. Why you need 1 Level of Sprout in early game? For ganking activities, and for saving your lifes by sprouting yourself and then use Teleport immediately. Why Nature's call maxed before Sprout? Because this build is focused on pushing towers, and Nature's Call Creeps will really helps for faster pushing. 3. You can farms farm uphill. 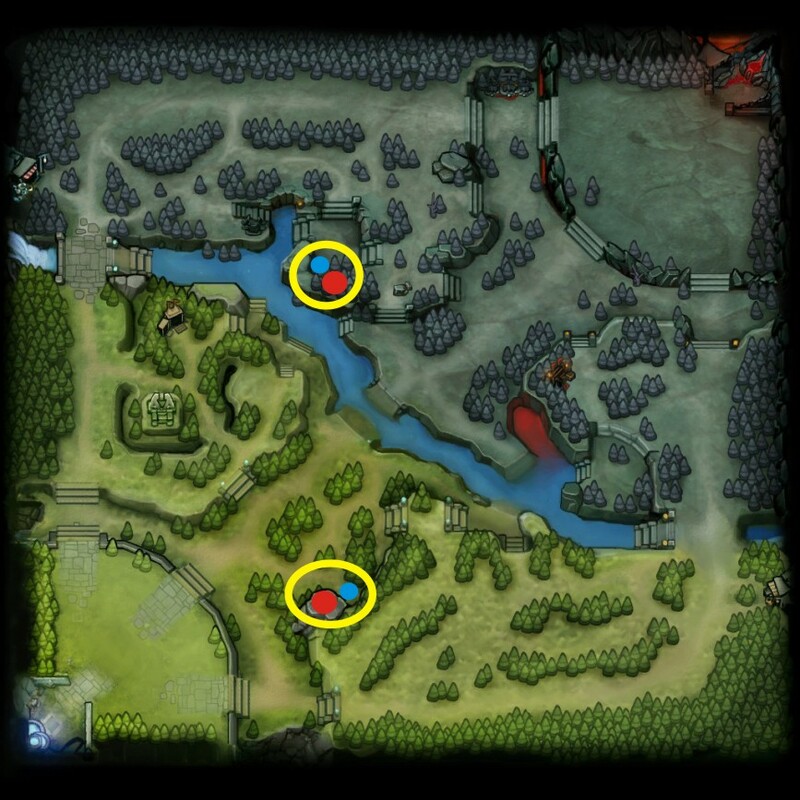 If you farms in jungle, you will need your creeps for helps. If you farms in lane, you can last hitting while harassing enemies once in a while. The most important item for your early game is Hand of Midas. With Midas, you can earn golds twice as fast, and also it will faster your levels because you will get 2.5 times exp from the creep you kill using Midas. 5. Or you can get golds from killing heroes. 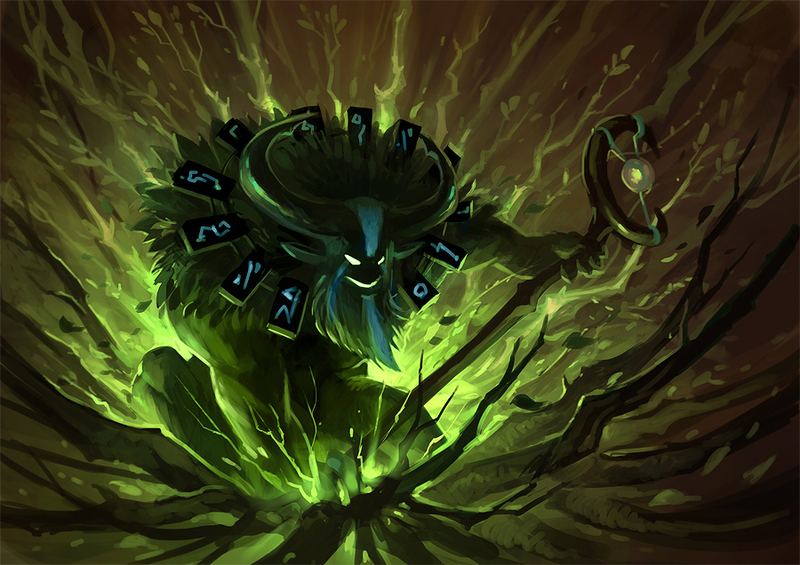 Or if you're evil enough, you can kill steal using Dagon and also Wrath of the Nature. Daedlus, or anything you want. So you should be ready for dealing some damage to the teamfight. On the late game your part is to push the empty lane where no enemies are gurding while 4 of your friends doing other activity. 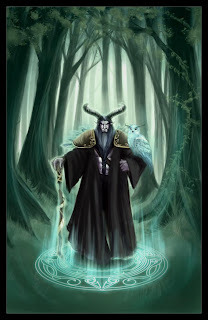 And if you feel, the that your teams really needs your presence, you should then teleport to the teamfight and you should use all you have: If you have a Sheepstick use it on their initiator. The most important is, you should right click enemies one by one. Your damages are already high and you can compete with enemy's carry in terms of damage. Why Power Threads? It will gives you attack speed, thats what you need, attack speed and also damages. Power threads is also a flexible shoes, you can change it to STR, AGI, or INT for what you need. INT for mana and damage. Why Shadow Blade? Needed for defense while you are pushing a lane. If enemies come and surprise gank you, then you need this to go invisible and immediately teleport to other lane and push other lane.. Also Very Good to keep you alive in certain situation like when you on low hp after a teamfight. 4. (Alternative) Helm of the Dominator and upgrade it into Satanic Later. With this, you will become a true moster. This is because you have a very high damage and this item will multiply your damage so everyone can't match you anymore. You also can buy MKB, both MKB and Daedlus is good. Why Hand of Midas? It will boost your golds and exp so you can be the richer in the maps. 5. The rest is up to you and your team, you can go DPS or buy another supportive item. 1. Playing with furion you need allies who can 4 vs 5 on a teamfight, some heroes like Invoker, Shadow Shaman, or Venomencer will do the works. Invoker have lots of AoE damages, Shadow shaman have Aoe damage, 2 disables and Wards, and venomancer have deadly Aoe Poisons, very good for 4 vs 5 enemies.